So on my last day in Koh Samui, I decided to go and find somewhere new for lunch. Whilst flicking through Cheap Eats on TripAdvisor, I found a place that looked a little bit different. It’s call Flying Arrow Archery, and you can grab a drink, eat some food, and more importantly, you can try out traditional and advanced bows and even have some fun with a crossbow. It’s been a while since my last vlog, this is because of having lost my phone (you can read what happened to my phone here – The iPhone is dead, long live the iPhone), which also meant I lost all my footage from Koh Tao too, but I’m getting back on top of things now. 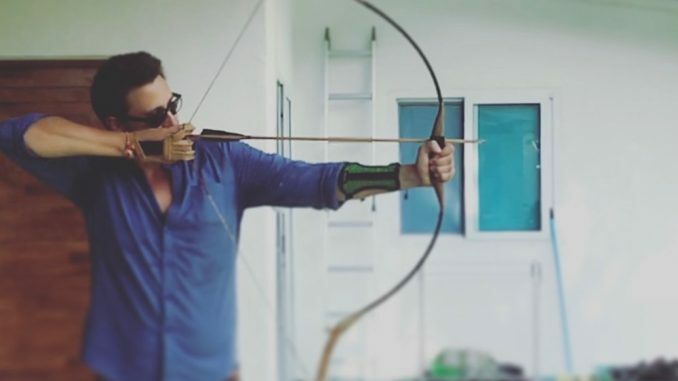 So here’s a quick glimpse into how I managed, on my first time ever trying archery. Enjoy! If you’re enjoying these videos, head over to my channel – Chris Bruno: Unplanned As Always, and hit the subscribe button, it means a lot to me!